wondershare video editor for mac Wondershare Video Studio Express for Mac is easy-to-use video editing software for both novice and professional video editor. You can edit SD videos and HD videos by merging, trimming, splitting, cropping, rotating, and setting brightness, contrast, saturation and volume. Three timeline tracks make video editing flexible and simple, because you can edit video, audio, background music respectively. This video editor is also a video converter, you can play your favorite video anywhere and anytime with your iPhone, iPod, iPad, PSP, Wii, Zen, Zune etc regardless of the format compatibility . To share your video creations, you are allowed to upload them to YouTube as long as you submit YouTube account information. 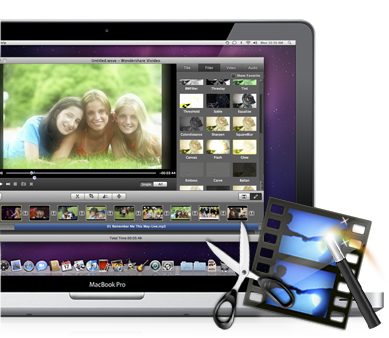 Key Features of Wondershare Video Studio Express for Mac: 1. 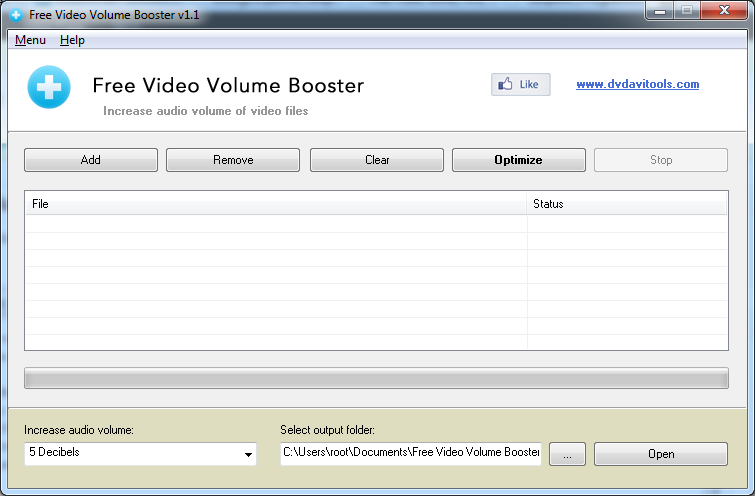 With this video editor you can manage various SD and HD video formats. No need to be worried about format incompatibility, the functions of video join, split and trim can be easily achieved. 2. Import videos from portable devices, DV cameras, camcorders, such as iPhone, iPod nano, Canon, Sony, JVC, etc. 3. Support Audio format such as WMA, WAV, M4A, AAC, AC3, OGG and MP3, so that you can import your favorite music from your hard disk as background music for your video. 4. Create professional and precise video with video track, audio track and background audio track. 5. It is very simple for you to split video to several clips to make it fit onto your multimedia device exactly. Correspondingly, you can merge multiple video files into one. 6. Trim the video to get your favorite parts of the video with the help of this video editor. 7. Simply crop the video image size to remove any unwanted areas from it like a pair of smart scissors. 8. Apply special effect to your video such as old film, gray, emboss, negative etc. Adjust video brightness/saturation/contrast to perfect your video. 9. Wondershare video studio express is good way to make your video looks beautiful. Plentiful transition effects are offered for you to customize videos. 10. Upload videos directly to YouTube to share your video with your own personal network or with the entire world. 11. Wondershare video editor allows you set frame rate, bit rate, and resolution to get the best effect. 12. Copy movies to your device of choice such as iPod, iPhone, iPad, Wii, Zen, Zune and PSP etc, and you can enjoy them wherever you are. 13. You can upload videos directly to YouTube. Add tags to your media, choose among upload qualities, and set your account info for instant uploads.